All Asian food is cooked with the intention of increasing the health benefits, such as its healing powers and medicinal value, as well as longevity. Here’s an article we publish this year last March 2014, Amazing Ways Food is Used in Thai Cooking . Of course every country that is part of the Asian world has their own way of cooking the food, but with the same outcome, its health benefits. 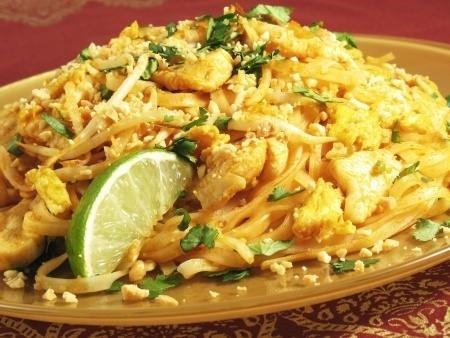 Today we present Pad Thai Noodles with Chicken. Of all the Asian foods, Thai is our favorite. Soak the noodles in a large pot of boiling water, covered for 10 minutes or cooked according to package instructions. When the noodles are done and tender, rinse noodles under cold running water. Set aside. 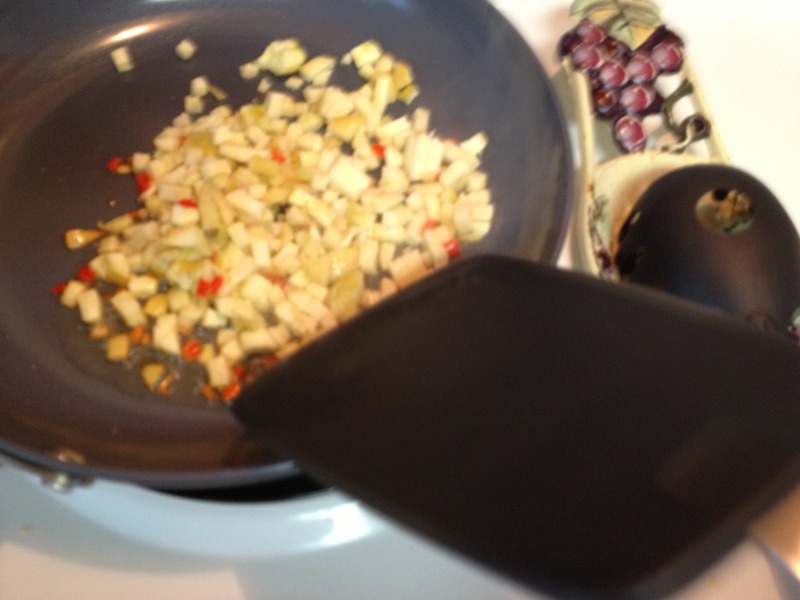 Add peanut oil to a wok (large frying pan, if you have no wok )over high heat. Once the peanut oil is heated add scallions, garlic and red chilies. Stir-fry for 1 to 2 minutes. Next add the chicken, lime juice, fish sauce and eggs. 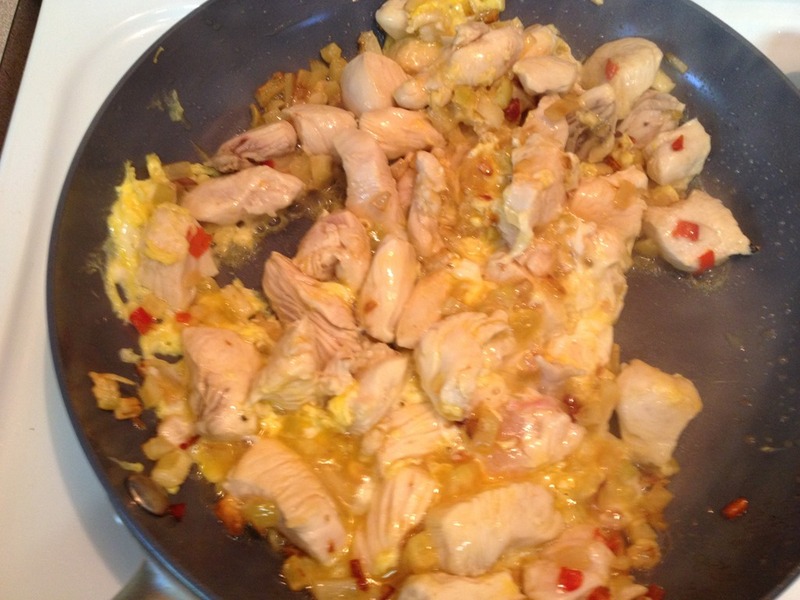 Stir-fry over medium heat for 2 to 3 minutes, or until eggs have set and pink is no longer in chicken or heated through. Next add the bean sprouts, most of the cilantro and the noodles and stir-fry for 30 seconds or until heated through and beans and cilantro are mixed in thoroughly. Transfer to a serving platter and sprinkle with peanuts and remaining cilantro and serve right away with lime wedges if you wish. 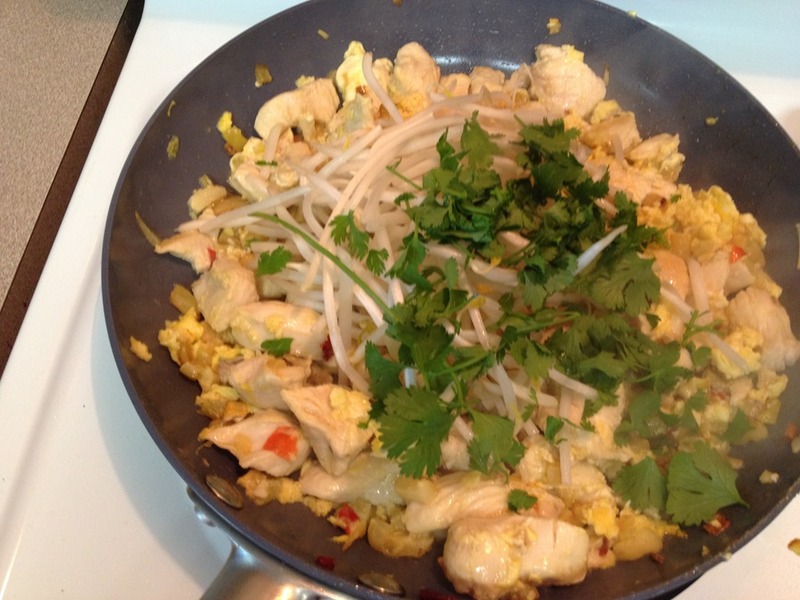 This entry was posted in Chicken, Main Dish and tagged Asafoetida, Asian cuisine, Asian food, Baked beans, Barbecue chicken, Bean, Bird's eye chili, Black pepper, Chicken, Chicken Stir-Fry, Cooking, Coriander, Frying pan, lime, Noodle, Pad Thai, Pad Thai Noodles, Peanut oil, Soy sauce, stir fry, Stir frying, Tablespoon, Thai. Bookmark the permalink. I like that it is simple and quick to make. It looks delicious. 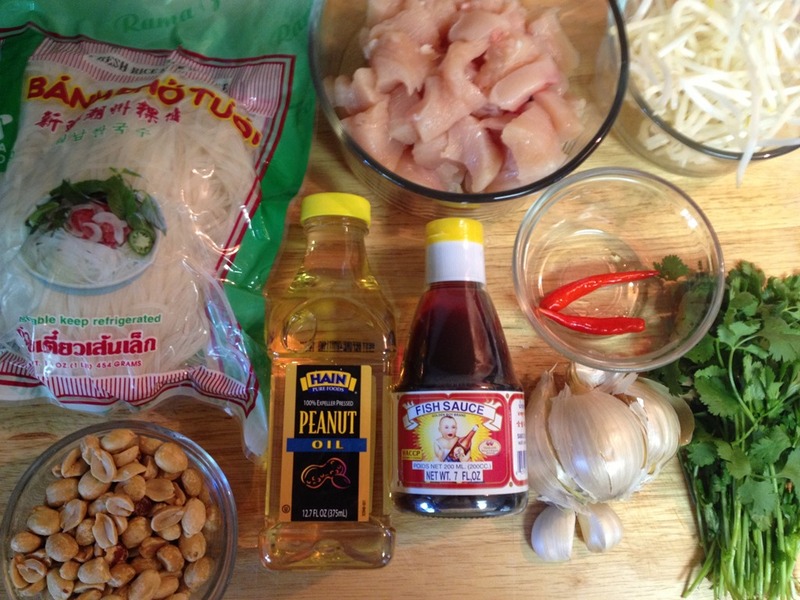 I enjoy stir frying food because all my ingredients are fresh and tasty. Yes, vegetables are bright and crunchy. Thanks for stopping by Honey and for your thoughts. Thanks for your comment and for stopping by Natalie. How I am glad I posted this at the right time Adrian!! I hope you enjoy! !